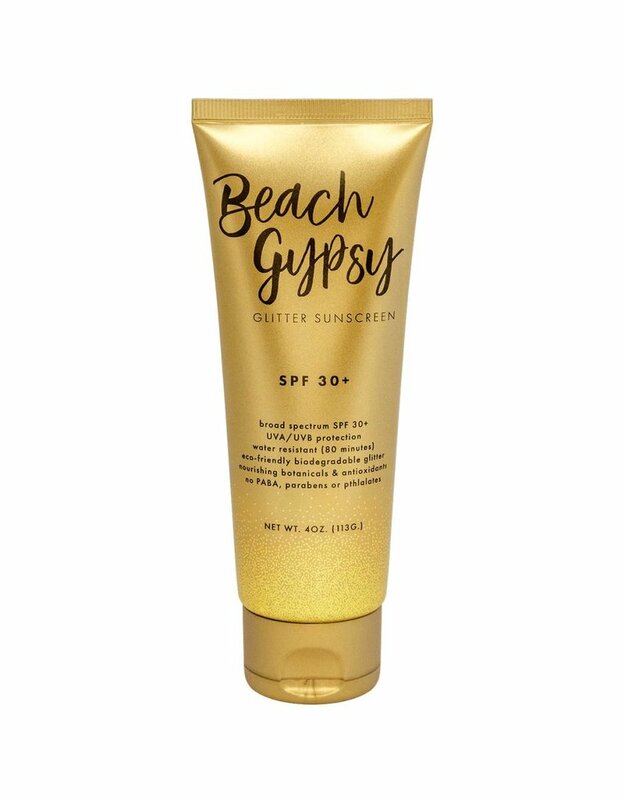 This luxurious formula features SPF 30+ broad spectrum UVA/UVB protection and 80 minutes of water resistance, with our eco-friendly biodegradable glitter. Infused with natural antioxidants and essential nutrients, PABA and Paraben free. Because when we’re protecting your skin, you look amazing. Only the best. Other Ingredients: Aloe Barbadensis Leaf (Aloe Vera Gel) Juice, Aqua (Deionized Water), Argania Spinosa (Argan) Oil, Camellia Sinensis (Green Tea) Extract, Cetearyl Olivate, Cetyl Alcohol, Citric Acid, Cocos Nucifera (Coconut) Oil, Daucus Carota Sativa (Carrot) Seed Oil, Ethylhexylglycerin, Glitter: Regenerated Cellulose, FD&C Yellow #5, Aluminum; Glyceryl Stearate, Parfum (Fragrance), Phenoxyethanol, Polysorbate-20, Sorbitan Olivate, Tocopheryl Acetate (Vitamin E), Zemea (Corn) Propanediol.